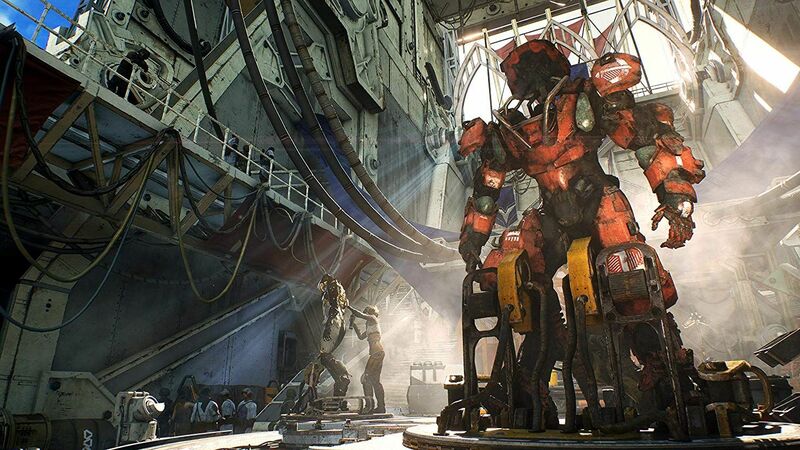 Anthem is long time RPG developer Bioware’s first new franchise in quite some time, and Bioware’s first multiplayer shooter. 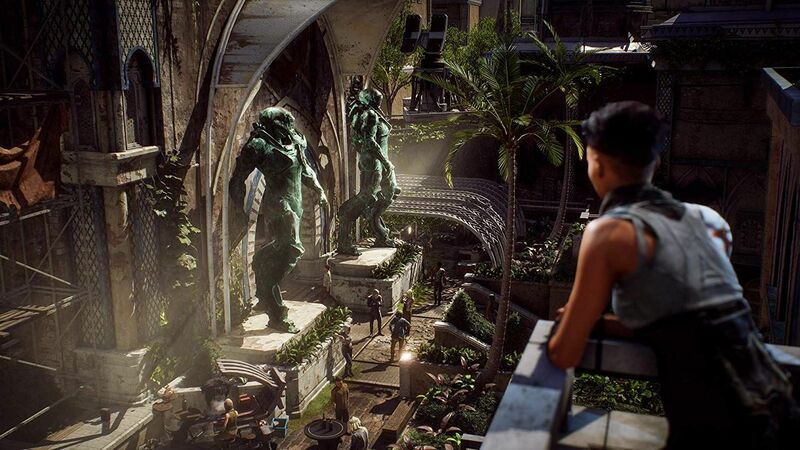 Taking cues from Mass Effect, Anthem takes players to Fort Tarsis, two years after the Heart of Rage disaster. Freelancers wielding powerful Ironman-esque armour suits known as Javelins are now living in the shadows. Long gone are their glory days as heroes, but the reappearance of Dominion troops may offer the opportunity for the Freelancers to reclaim their honour. Bioware lives up to their reputation as Anthem is rich in story. The main plot is decent, but its twists are little a bit predictable. The biggest problem with the main plot is its short length. Things move at a quick pace and there just aren’t many story missions to begin with. While the main plot is not the deepest of story experiences, the writers make up for it with the game’s considerable breadth. It may not be every gamer’s cup of tea, but there are plenty of side stories and minor NPCs to discover. There is rarely a true good or evil answer in Anthem, but rather a sarcastic or a sweet response. The writers clearly see Anthem as a game as a service, at they spend a lot of the time laying down the foundation for future content instead of pushing the main story along. Veterans of Bioware titles will feel the influence of the company’s previous titles all over Anthem. Mechanically, the game is a competent third person RPG-style shooter that mixes a pleasantly complex spell system with casual-friendly gun play. There are four Javelins in the game. Each Javelin has two standard abilities, a consumable, and an ultimate skill. The Javelins cover the standard RPG archetypes of tank, caster, melee DPS, and ranged DPS. There’s no true holy MMO trinity here, but rather a more modern approach that emphasizes dodging over soaking damage. The Javelins hit the right balance of being similar enough to transfer player skills between Javelins, but different enough to have a noticeably different playstyle. 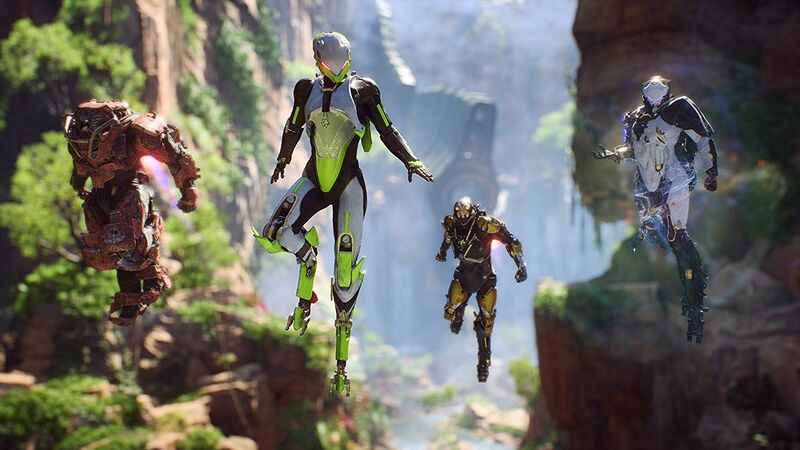 Anthem’s ability system emphasizes teamplay. Many abilities can either apply a status effect or trigger existing status effects for extra damage. Players who aren’t willing to dig into the details can coast along and avoid the combo system all together but may run into a little trouble at higher difficulties. 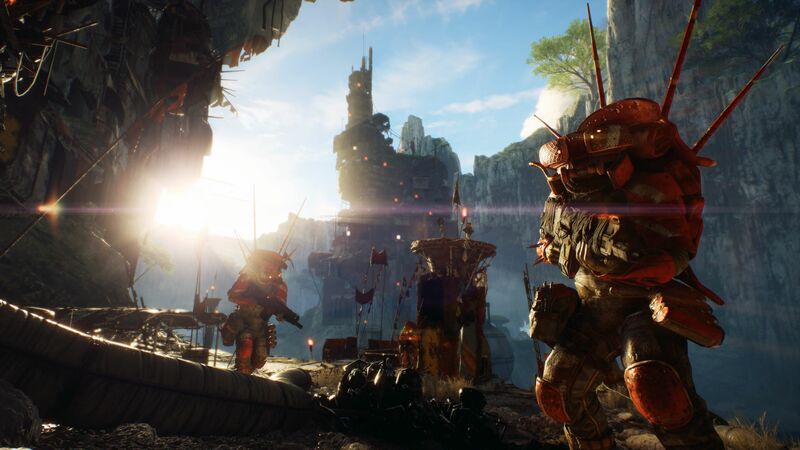 One of Anthem’s biggest problems is its poor tutorials and documentation. The tutorial is extremely bare bones, only teaching players the basics of the game. A lot of more advanced, but vital mechanics like the combo system and status effect vulnerabilities need to be learned from the player journal or the load screen tooltips. New players would have been much better served by more generous tips popping up on the screen during the first five to ten player levels. The mission design is poor, so players will be running the same basic mission structure repeatedly. Players will need to fly to a location, kill a few enemies, maybe find an item or two, then do it all again a couple more times. If the game is feeling spicy, it might just send you into a cave to do the same thing in a mini-instance. The obligatory flight sections feel like they’ve been forced into the missions to show off the game’s flight mechanics. It would have been much better to integrate flight into the mission design instead of turning the Javelin’s rockets into a glorified flying taxi. Puzzles are rare and equally repetitive, usually requiring players to find missing objects or match an icon. The game’s three dungeons aren’t much better, with incredibly dull final boss design. All fights are in three stages and each of the boss only has one marginally interesting mechanic. 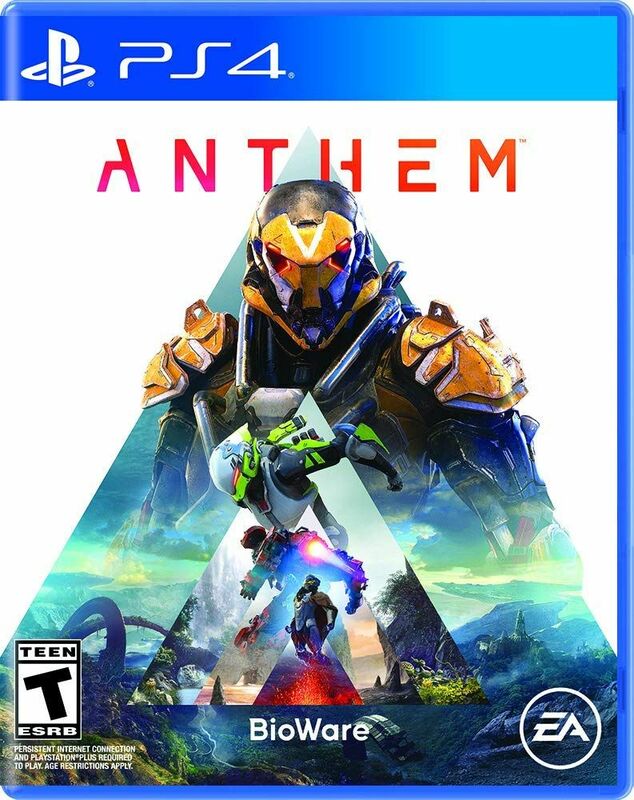 Anthem is also direly lacking in content in general. The main mission line is astoundingly short. End game can be reached well before the level 30 cap for pilots. 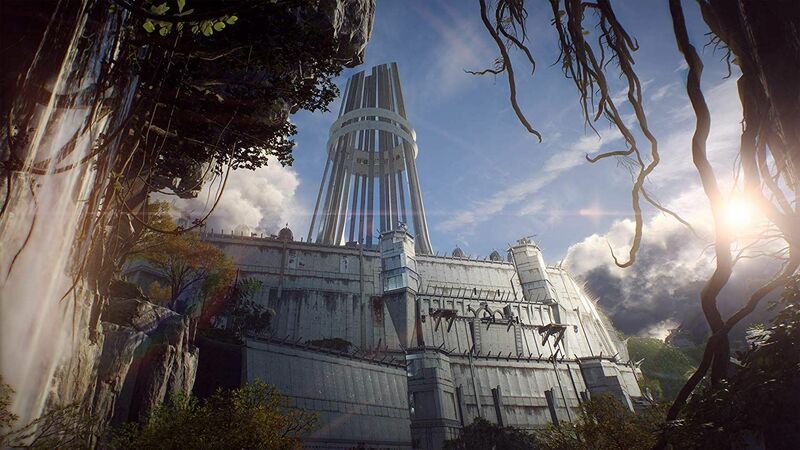 Once the side missions and the main storyline is done, players only have a small handful of options: fly around free roam looking for world events, grind out contracts, or run the game’s three dungeons. 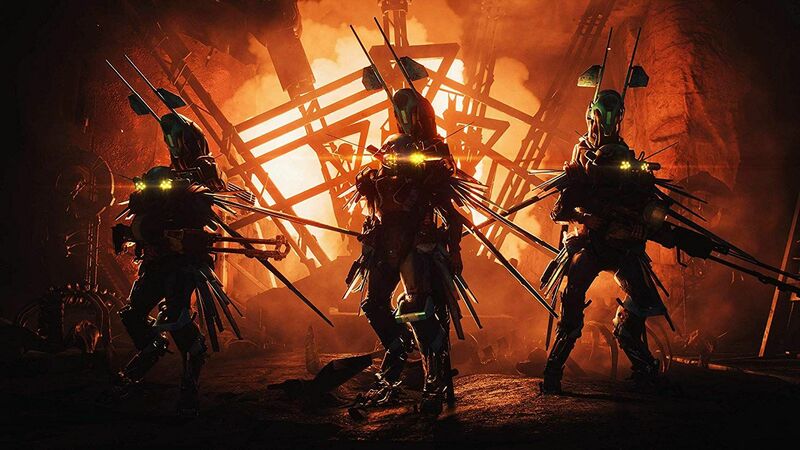 While many MMOs rely on post-game content drops to extend the end game, Anthem is already anemic out of the gate. The Javelin controls are excellent. The controls follow the standard shooter layout. Even on PC, there is a generous aim assist for abilities that allow for quick deployment of abilities. Flying controls are traditionally the bane of the mouse and keyboard, but Anthem copies the very simple controls from a fellow EA title, Star Wars: Battlefront 2. So, whether you’re using a mouse or a thumbstick, you simply point in the direction you want to go, and the game takes care of the rest. Anthem switches between a first-person view inside the safety of Fort Tarsis and a third person view in the Javelin. The city zone is hobbled by painfully clunky controls and slow movement. Compared to the agile Javelins, walking around on foot feels like the player is wading through mud. The Javelin and city sensitivity are linked, leaving the first-person camera feeling slow and mushy. The menus are not well designed for PC. Loot management is quite a pain as the only way to mark multiple items as junk and salvage them all for parts is through the stash. Menu bindings are also not editable on the PC, so those with non-QWERTY keyboard layouts or non-standard binds may run into problems. Anthem is also struggling with a general lack of polish. I didn’t run into many game killing bugs on the PC version, but there were enough smaller bugs to make the game feel like a beta. While I can’t speak for the speed of fixes on the console version, Bioware seems to be releasing patches and hotfixes at a pretty decent clip on the PC. Anthem is a good-looking game with a few hiccups. The art direction is very good. Enemy factions are visually distinct with some cool ideas. The Javelin parts range from industrial machines to some crazy sci-fi designs. The world is gorgeous but lacks a bit of variety. There are large stretches of towering cliffs and dense vegetation, but not enough interesting locales to provide enough variety to make parts of the map look visually distinct. The animations are good for the most part, though some of the NPC facial and body expressions are over-exaggerated. The audio experience in Anthem is solid. The sound effects are excellent. As expected from a big AAA title from a major publisher, the voice acting is very strong, from the main characters all the way down to minor NPCs. The soundtrack is an enjoyable listen and reminds me a lot of the Mass Effect soundtracks with its light electronica tunes. Anthem has a lot of room for improvement. Much of it can be addressed in future content releases, such as stomping out bugs and more end game content with better mission design. Others, like the poor design of the city controls, may end up following the game around like a ball and chain. Considering how well the Javelins handle, it’s a total disappointment the game has been ruined by its repetitive missions, short main story, and poor documentation. Anthem falls way short of the hype due to repetitive missions and lack of content.